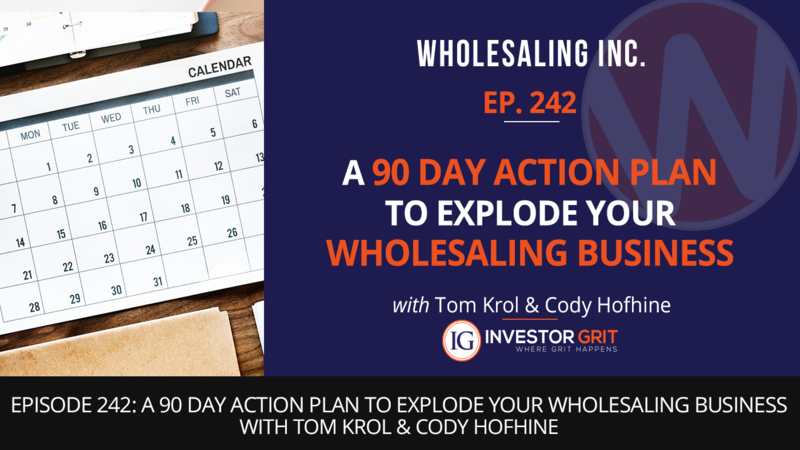 Regardless if you’re a new wholesaler still looking for that seemingly elusive first deal or an experienced rhino looking to add a few extra deals in the next 90 days, you’d surely love today’s special episode! Phenomenal wholesaler and TTP guru Brent Daniels breaks down easy to follow steps you can take to dramatically explode your business in the next 90 days. Today’s episode is full of amazing insights and powerful tips only an extraordinary wholesaler like Brent can deliver. So if you want to enjoy massive wholesaling success in the next 90 days, this is one episode you can’t afford to miss!